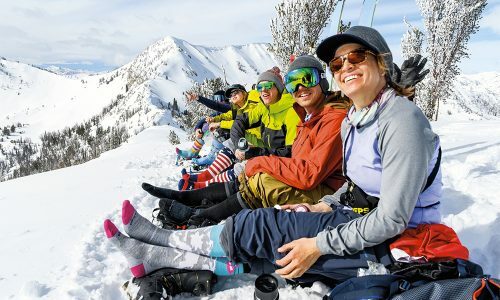 Blizzard splits its women’s freeride skis into two categories: Women’s Freeride and women’s Freeride All-mountain. 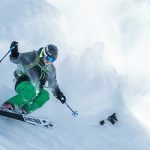 The Freeride All-mountain series includes the Black Pearl 78, Black Pearl 88 and Black Pearl 98 (the numbers correspond to their waist widths). 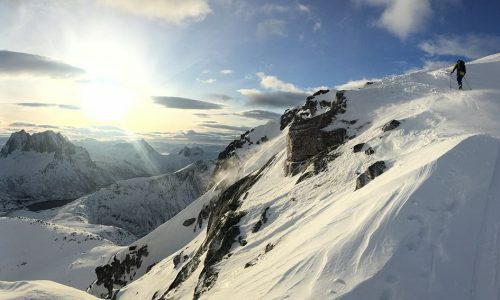 The Freeride line houses the Sheeva 9 (92 mm waist), Sheeva 10 (102) and Sheeva 11 (112). The Sheeva series skis are all constructed with Blizzard’s Carbon Flipcore D.R.T. (Dynamic Release Technology). 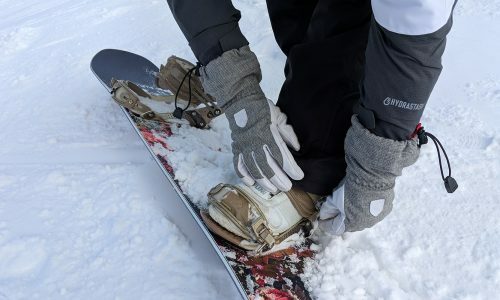 Carbon is implemented two ways into the sandwich sidewall construction: in an insert in the tip and tail that includes carbon in a uni-directional pattern and also in a carbon fiberglass compound that runs the full length of the ski. 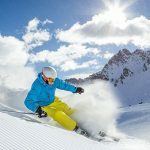 Flipcore is Blizzard’s technology of building rocker shape into the mold of the ski instead of bending the tip or tip and tail after the construction process. D.R.T. includes a milled layer of titanal that is full underfoot and narrower toward the tip and tail, designed for stability underfoot and more forgiveness in the tip and tail. Along with the carbon insert in the rockered tip and tail, there’s an anti-shock layer as well. The multi-layer wood core includes pauwlonia, balsa, poplar, and beech. Thanks to its 92 mm waist, testers felt the Sheeva 9 excelled on the frontside. “It’s great at quick turns, soft bumps, and trees,” says one tester. “It feels narrow underfoot, but predictable in terms of stability and edge grip,” says another. 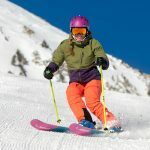 One tester compared the Sheeva 9 to the Black Pearl 88: “It’s an easy-skiing ski like its Black Pearl sister, but the Sheeva takes on the mountain with more attitude and ferocity.” That tester notes that that “ferocity” may not be a favorite for all abilities, and in fact, the tail feels firm and perhaps unforgiving to backseat drivers. Testers felt that the Sheeva 9 would best suit advanced intermediates through experts, who favor the frontside. 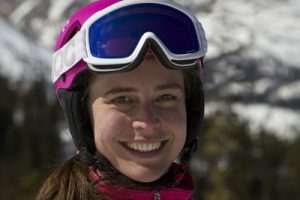 “I’d say this is best for 70 percent of your time on-piste and 30 percent off-piste, but not in too much snow,” says one tester. “I like the performance in soft bumps and trees,” says one tester. Though testers felt that the Sheeva 9 excelled in quick turns, they noted that it was sluggish in long turns. Many testers commented on the 92 mm waist. “It’s hard to pin down this ski because of the waist width,” says one tester. 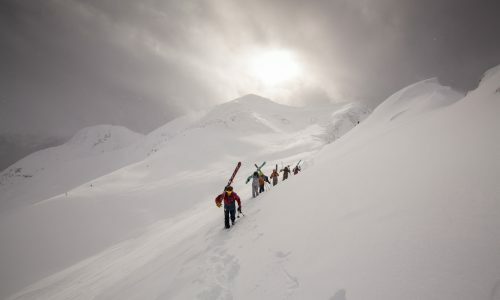 “It’s too wide to be a frontside ski and it’s not really wide enough to be an all-mountain ski.” All in all, testers agreed that the ski suits skiers who like more carve and less float—that is, who spend more time on the frontside of the mountain with occasional forays into the backside or into variable conditions. Testers gave their highest scores for Stability and Carving. “This ski has a big sweet spot,” says one tester. 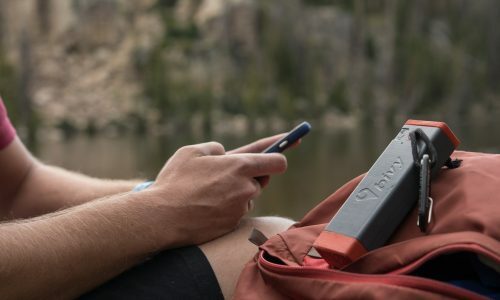 “It’s easy to feel centered.” Other testers called the ski “sturdy” or “predictable.” The only factor that affected the stability of the Sheeva 9 is that testers felt the 92 mm waist is too narrow for deep or cut up all-mountain conditions on the backside. The Sheeva 9 received mediocre scores for Resort Float mostly because of the waist width that’s in the low nineties and a more narrow-oriented sidecut (124-92-114). Testers liked the performance in soft bumps and trees as well as groomers, but all felt that the ski favors the frontside. Testers gave their highest scores for Carving and Stability. They applauded the edge grip and the big sweet spot. 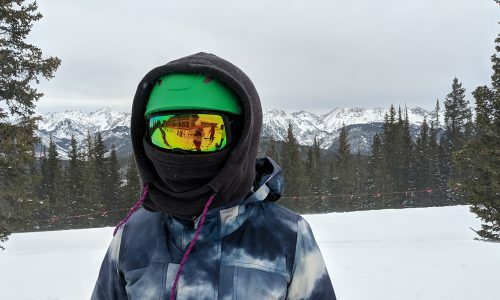 Though the tail may feel too stiff for some, testers say the titanal and carbon reinforced ski has “attitude” and a “ferocity.” The ski excelled in quick turns on the groomers, trees and soft bumps, which matches the Sheeva 9’s 14 m (at 164 cm) turn radius. The Sheeva 9 received average scores for Versatility. 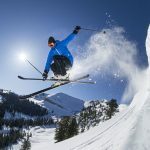 Testers felt that the 92-mm-waisted ski was more “All-mountain Frontside” than “All-mountain,” and lost some versatility in terms of having less sidecut and a narrower waist than some other skis in the All-mountain category. The Sheeva 9 did have turn shape variability, excelling in short turns, soft bumps, and trees. This ski is for women who want more carve and less float—it’s an all-mountain frontside-feeling ski.